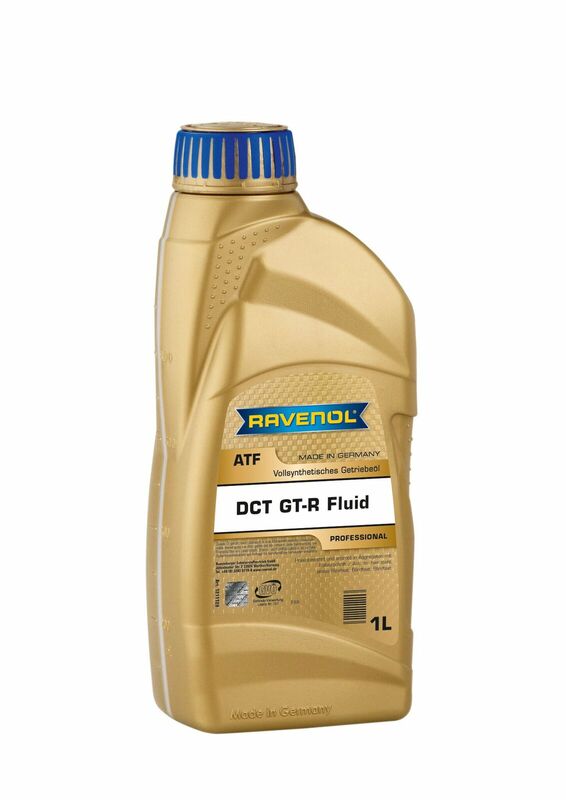 RAVENOL DCT GT-R Fluid is a special fully synthetic transmission fluid developed to cope with the unusually high thermal requirements of the Nissan GT-R R35 "sports gear" double clutch transmission (DCT) This transmission is a highly sophisticated, complex high tech transmission which puts extremely demanding requirements on the fluid. To avoid noisy stick slip effects (shudder) of the clutches during starting or operating at high temperatures, its friction characteristics have been adjusted to operate at high temperatures. All crucial double clutch transmission fluid performance criteria, e.g. cold flow performance, shear stability, evaporation loss and wear stability, have been raised to the highest possible levels. 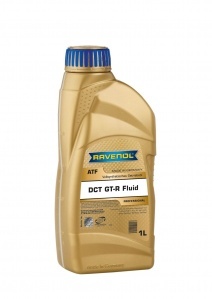 RAVENOL DCT GT-R Fluid is not miscable with any other transmission fluid during service. This is absolutely necessary for perfect DCT-operation.